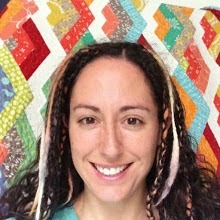 When I first mentioned the possibility of a quilting extravaganza several people posted their suggestions in the QDU forum so I have collected and posted these below. I like this young lady's techniques and tips. I've watched a number of her U Tube videos and my kids bought me one of her DVDs for Christmas last year. It's great to watch it in the sewing room while I practise her tips. I found this blog, which looks like it might have good patterns and advice. 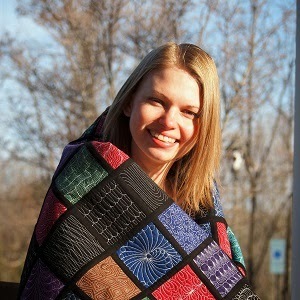 I have been following Leah Day since the beginning of her 365 day challenge to invent a new FMQ pattern each day. Of course life got in the way and it took her more than one year to do it, but she did it - and more - far more. This year I bought her book of patterns - and I LOVE it - but you don't have to. is doing what I did when I was beginning FMQ - develop a series of "Things on Strings" that are simple to remember AND to quilt. For complete beginners, her patterns might be more friendly than some of Leah's. Why ? Leah's patterns seem to have lots of spots where you need to go over the same line twice. This is great for learning how to develop absolute control, but its Very demoralising if you are just starting. How did I learn ? I learned because I had a Desperate Need to draw winter trees with thread. [I'm an art quilter and we have these urges/needs to do strange things from time to time] Winter trees have no leaves - so focus is on the trunk, branches and twigs. I raged around going backwards and forwards on the trunks, layers and layers of thread and no one could see if the stitches were even or crossed - easy. Then branches I did the same but slower and when I felt ready I slipped in some twigs - up and back - tricky. Having raged with the trees I then had to put on a false back and quilt the background .....hmmmmmmmm so I took a poem about silence and wrote the poem in thread the same colour as the background. Discovered the poem is a good lurk, as people always want to read the words which takes attention from the deficits in the tree quilting !!! Have added a photograph of one of my trees on snow - though strangely not one with the writing - to our photos. Aim was to get effect of shadows on the snow - numerous attempts but was never quite happy with the effect. BUT it did teach me not to be scared of using my bouncy free motion foot. PS The only way to really master it is to practise - 5-10 minutes a day will do it... and don't care too much about what it looks like - the cat or dog will still sit on it and be happy.